Powerbox® DPC-24000-BT - ON SALE! - FREE Shipping! "30-day backorder on this unit You may purchase in advance if you choose "
The Powerbox® DPC-24000-BT is our largest and most advanced model so far. This unit has everything you need to run up to 24 1,000 Watt lights, plus accessories at 120V. Best of all, this unit contains our exclusive new 6-Channel Timer, which allows you to control outlets in six separate zones, making this the most versatile lighting controller available on the market. There are a total of TWENTY FOUR NEMA type 6-15 240V outlets to power your lights, and 8 NEMA type 5-15 outlets to run your light-duty accessories. 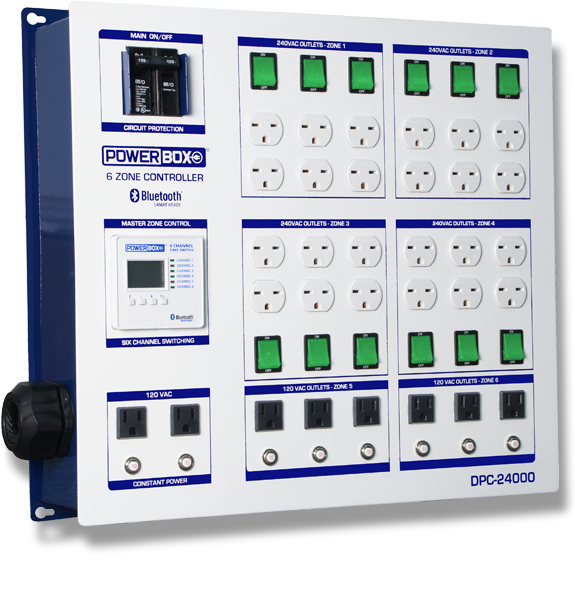 Our exclusive 6-Channel Timer allows you to control the power outlets in zones - you get control over 4 independent zones of (6) 240V outlets, 2 independent zones of (3) 120V outlets, and there are 2 constant 120V outlets. 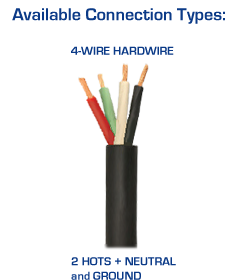 Conduit/cable entry allows for up to 1.5" cable or conduit.